Jumping between multiple tools to design UI and animation is tiring. 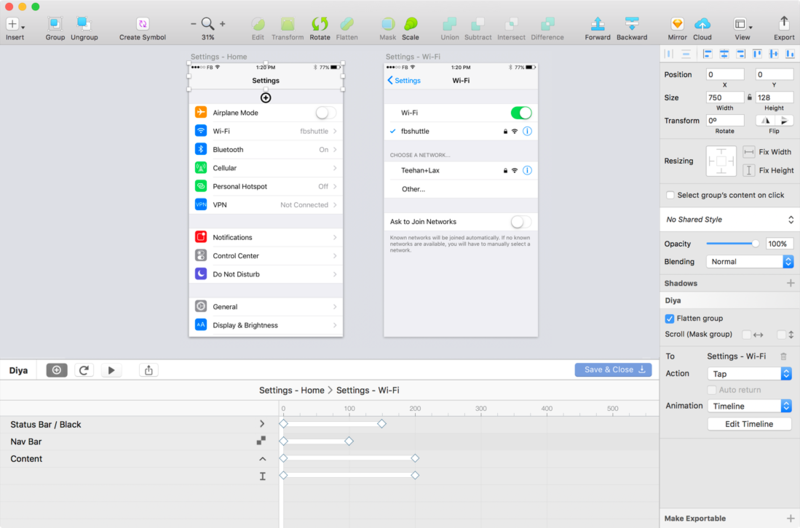 Diya lets you stay focused by bringing a powerful timeline editor directly to Sketch. What's the point of animating, if you can't control the easing! Use our preset values when you want to move fast. Use our custom curve editor when you want precise control. Or use our spring visualizer to make things springy. Animate once. Reuse again. And again. And again. Sketch lets you create a symbol and reuse them throughout your document. Diya lets you animate those symbols. Instant reusable animation across your prototype that's perfect for UI components like switches, loaders and spinners. Share with anyone. On any device. 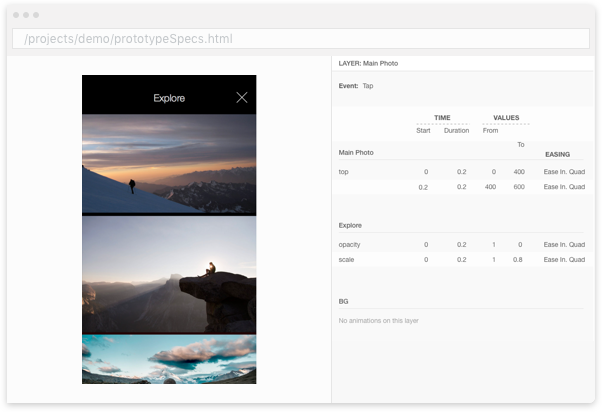 Diya exports to HTML so you can easily share your animated prototypes with stakeholders. All they need is a web browser. Nothing to download. Nothing to install. Live Animation Specs your developers will love! I was super excited when I installed and tested Diya for the first time. No fuss, ease of use, and exactly what I've been wanting for Sketch workflow with Devs. It's perfect for working with other designers who may not have much motion experience, it will provide great transitions and minimum effort. Blown away by how simple it is to animate with Diya in Sketch! Animated Symbols and Live Specs are total game changers. Hands down, the best animation plugin for Sketch! Diya is a motion UI designer's dream! It cuts my work in half by taking care of all the tedious animation spec work and allows me to focus on designing finely-tuned interactive prototypes, all without leaving Sketch! Diya is a great tool for product designers, where there is less of learning and more of quick prototyping! Diya handles all the complex animation letting me focus on solving interaction problems while staying inside Sketch.